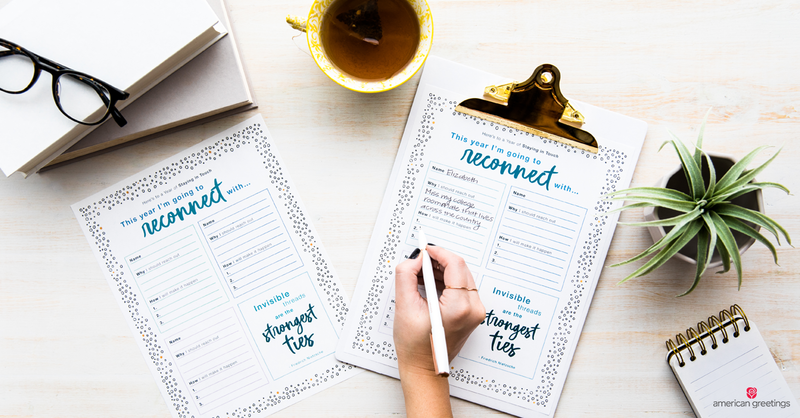 We challenge you to use this free printable to make a meaningful fresh start and reconnect with three people who are important to you. Begin by deciding which three people you’re going to reconnect with and write their names at the top of each section. Then, think about why you want to reach out. Did time simply let your relationship fade away? Did they move away? Did you have a falling out but always have regretted not staying in touch? Maybe a new job or new baby added to the distance? There’s no wrong answer here — it’s simply a way for you to get your feelings together. Next, write down three ways you’re going to reconnect: Send a card? Make a call? Write a letter? Meet for coffee? Message them on Facebook? It’s okay if you only have one idea right now; our reconnecting tips and ideas will help you discover other ways that might work best for you. 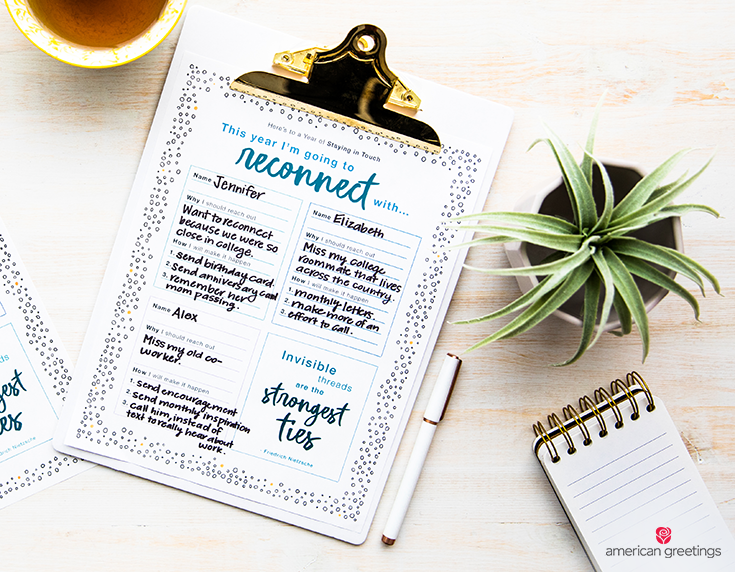 Once you’ve filled out your sheet, hang it where you’ll see it every day, so the special people you’d like to reconnect with are top of mind. 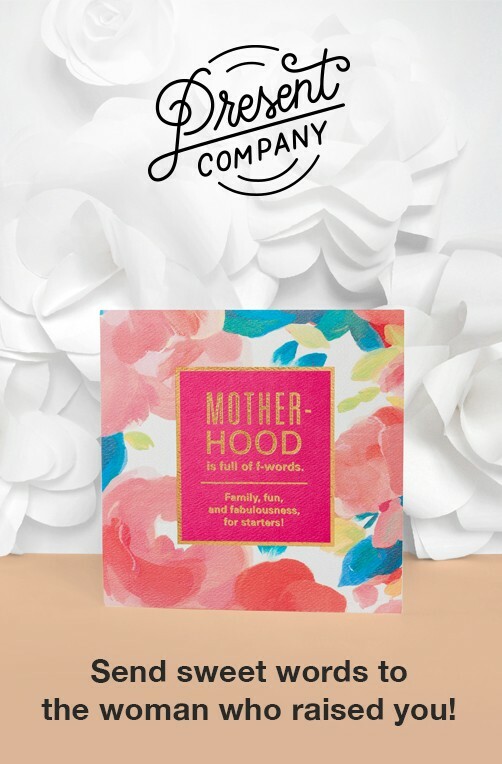 Your printable will help keep you accountable, and you’ll soon be asking yourself why you waited so long to reconnect with these people who mean so much to you.